Network migration at the headend does not have to be daunting. 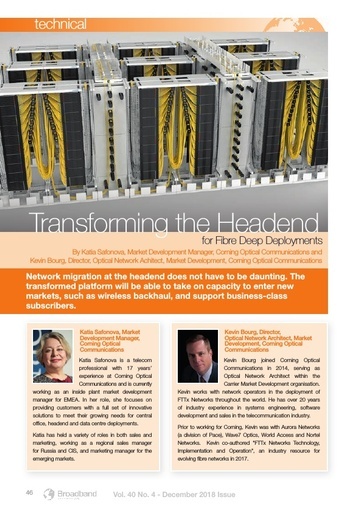 TheNetwork migration at the headend does not have to be daunting. Thetransformed platform will be able to take on capacity to enter newmarkets, such as wireless backhaul, and support business-classsubscribers.